PowerTrain created an animated and narrated marketing video for OPM’s Leadership and HR Development conference. 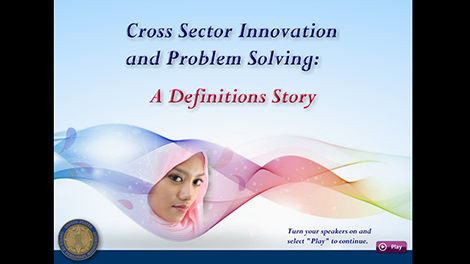 Cross Sector Innovation Problem Solving: A Definitions Story is presented in a storybook format. 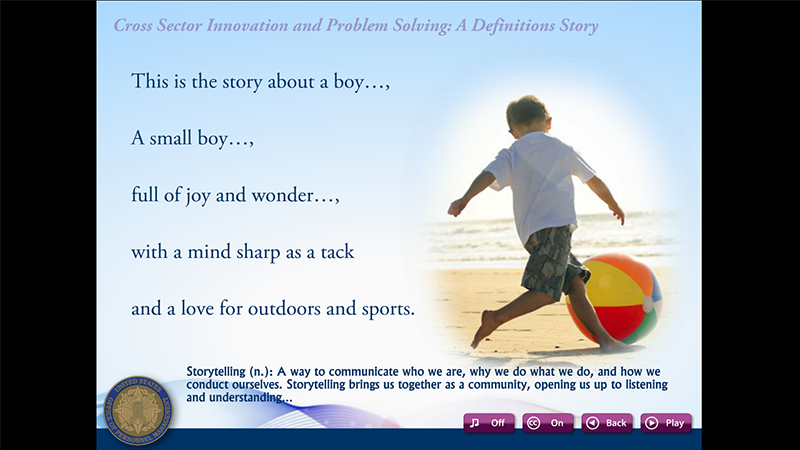 The storybook format draws in the user and defines terms as part of the story so they are more easily remembered. 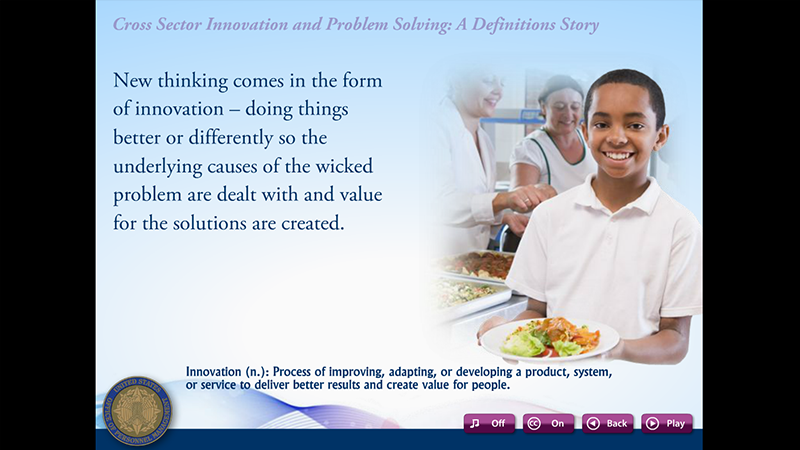 The storybook format also softens the sensitive “wicked problems” and brings the issues to life. Wicked problems are challenges of a grand scale that are ill-defined and ambiguous. They are often highly charged with moral, political, and professional issues. Often people have difficulty agreeing on what these problems are, let alone how to handle them. They include issues of terrorism, childhood obesity, immigration policies, and others that are complex problems. 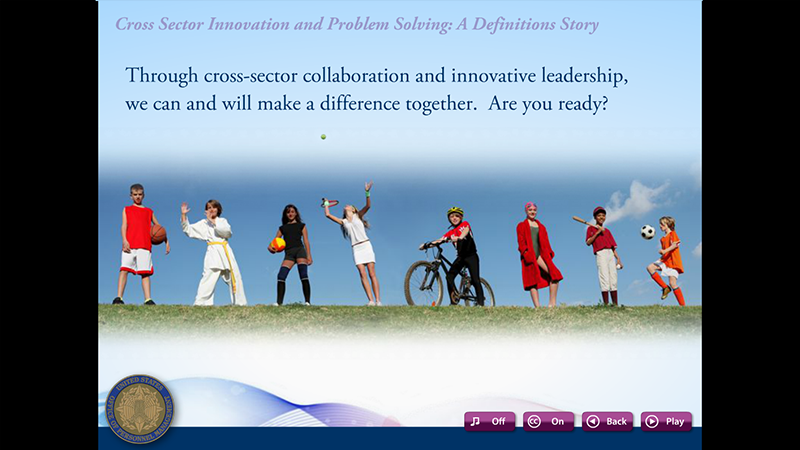 This video animation was shown at the OPM’s Cross Sector Innovation and Problem Solving Workshop as part of a larger conference to help address the wicked problems in a collaborative setting. The video also provided a printable PDF of the terms defined in the video’s story so that conference users could use them as a resource. The video has pause and play buttons so it can be stopped and started easily during the conference. It is set up in a loop for continuous play when not paused. The video also provides background music that can be turned on or off, as well as closed captioning.